After dominating at the box office for two weeks in a row, Disney's The Jungle Book will go up against three newcomers in the final weekend of spring, before the summer movie season officially kicks off with the May 6 release of Captain America: Civil War. Standing in The Jungle Book's way of a three-peat is the Warner Bros. comedy Keanu, Focus Features' animated adventure Ratchet & Clank and Open Road Films' Mother's Day. While The Jungle Book most certainly won't win on May 6, going up against Captain America: Civil War, it should have no trouble taking the top spot for a third week in a row. According to Box Office Mojo, both Ratchet & Clank and Mother's Day are expected to open in approximately 2,800 theaters, with Keanu expected to debut in more than 2,600 theaters. Keanu is already a hit with the critics, with a 75% score on Rotten Tomatoes, while Mother's Day is certainly not a critical darling, with just a 20% rating thus far. There aren't enough reviews in the system for Ratchet & Clank quite yet, so we'll have to wait and see how the critics find this animated movie. 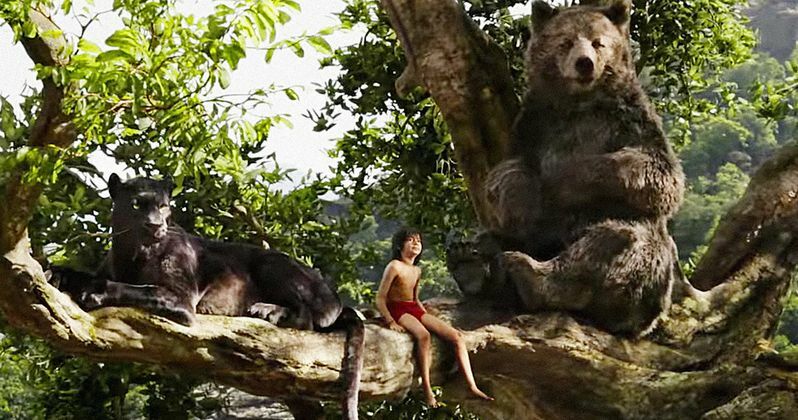 With all of that being said, The Jungle Book will remain on top with an estimated third weekend tally of $35.6 million. Keanu will most likely take the second place spot with $19.1 million. Keegan-Michael Key and Jordan Peele, a.k.a. the hugely popular comedy duo Key & Peele, star as Clarence and Rell, two cousins who live in the city but are far from streetwise. When Rell's beloved kitten, Keanu, is catnapped, the hopelessly straight-laced pair must impersonate ruthless killers in order to infiltrate a street gang and retrieve the purloined feline. But the incredibly adorable kitten becomes so coveted that the fight over his custody creates a gang war, forcing our two unwitting heroes to take the law into their own hands. Mother's Day is expected to debut in third place with $13.4 million. Mother's Day is the latest star studded ensemble comedy from director Garry Marshall, who previously directed New Year's Eve and Valentine's Day. Bringing together Jennifer Aniston, Kate Hudson and Julia Roberts along with Jason Sudeikis, it's a celebration of mothers everywhere. This big-hearted comedy invites us all to enjoy the laughter, tears and love as three generations come together in the week leading up to Mother's Day. The top 5 will be rounded out by The Huntsman: Winter's War with $9.1 million and Ratchet & Clank with $8.2 million. Ratchet & Clank tells the story of two unlikely heroes as they struggle to stop a vile alien named Chairman Drek from destroying every planet in the Solana Galaxy. When the two stumble upon a dangerous weapon capable of destroying entire planets, they must join forces with a team of colorful heroes called The Galactic Rangers in order to save the galaxy. Along the way they'll learn about heroism, friendship, and the importance of discovering one's own identity. James Arnold Taylor and David Kaye provide the voices for Ratchet & Clank, with Jim Ward, Kevin Michael Richardson, Armin Shimerman and Marc Graue rounding out the voice cast. The top 10 will be rounded out by Barbershop: The Next Cut ($6.3 million), Zootopia ($4 million), The Boss ($3.5 million), Batman v Superman: Dawn of Justice ($3.1 million) and Criminal ($1.6 million). Also opening in limited release is Magnolia's Viva, IFC's The Man Who Knew Infinity, Yari Film Group's Papa Hemingway in Cuba, Focus World's Term Life and Starz Media's The Family Fang. Term Life, which stars Hailee Steinfeld and Vince Vaughn, is slated to open in 50 theaters this weekend, but it isn't clear if there are any plans for expansion. Looking ahead to next weekend, Marvel will essentially have the weekend to itself to debut Captain America: Civil War, which has been projected to take in between $175 million and $200 million in its opening weekend. While Cap will be the only wide release, there will be a slew of movies debuting in limited release on May 6 as well. Fox Searchlight's Being Charlie actually opens on May 4, two days before Captain America 3, with the Star Wars documentary Elstree 1976, Shout! Factor's horror movie Bite, Sony Classics' documentary Dark Horse and IFC's Pele: Birth of a Legend also debuting on May 6. Be sure to check back on Sunday for the box office estimates, but until then, take a look at our predictions for the weekend of April 29. How Did Key & Peele Land Their Big Keanu Cameo?